So this is my pre-review, as I'm waiting for the arrival of my 2019 Alaska Carbon 27.5. I was looking for MTBR page with the 27.5 version of this bike (and the new frame geo) but it doesn't exist yet so putting this under the old frame and 26" tire version. As I've seen in other comments and forums, there is also lacking the official geometry specs on the Framed website and The House retailer. I obtained a photo from customer service and will post here. Ironically, I didn't get the correct specs prior to me actually ordering this bike. What I did was bring up photos of both bikes (old frame new frame) on my computer side by side and used a ruler to get the relative comparisons. I noted t's shorter chainstays, slacker head angle, and reach that is very similar to the other carbon fat bikes I was considering, namely Borealis and Canyon. I am very excited to try the Framed. I think it will fit my style of riding. I'm about 150 lbs, 5'9" and ordered the medium. 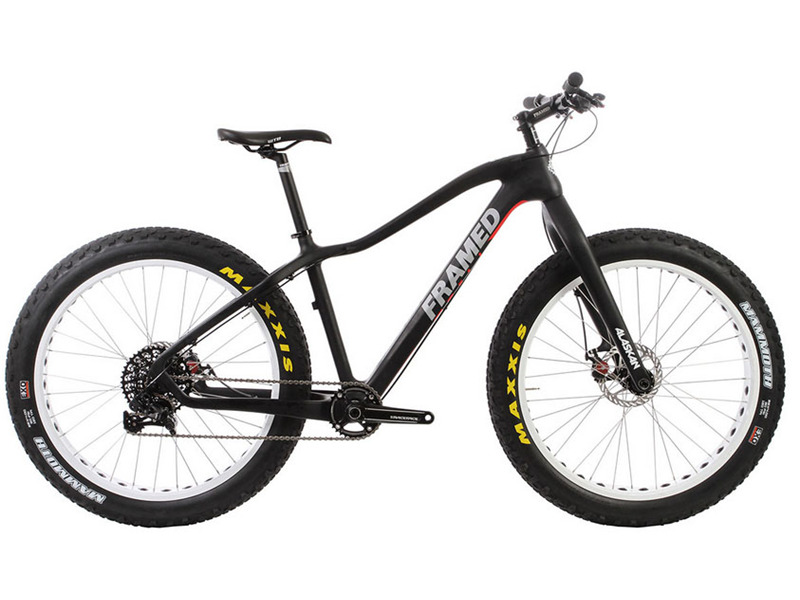 This will be my first Fat bike. I just picked up a used Mini Soto 24" for my 8 yo son. I went for Framed because of the price point and build options. 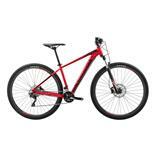 Mine will be full carbon, frame, fork, seat post, and wheels DT 350 hubs Pub cardon rims, NX 1x12. I'll update my review in a few weeks when I actually get on the bike! I can't report any weakness, except to say the prior Alaska Carbon and Wolftrax geometry appeared to be less to my liking but all hypothetical. Love to hear comments from anyone who's ridden both the older and 2019 Alaska. BTW, how do I post photos to MTBR? I used to be able to do that. The frame has undergone 3rd party extensive strength training. The bike is light for a fat bike. I have 3 bikes the Alaskan is my absolute favorite. 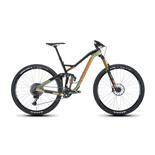 Strong and light carbon frame with excellent base price. 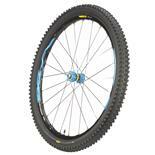 Rigid carbon fork and fat tires eliminates need for suspension fork. This bike can make best expeditionary bike for ability to carry cargo without any flex or torque problems because 197mm rear and 14mm wide Thru axle makes for incredibly durable bicycle. Wheel set too heavy and cheap. Performance maybe a just little long on the wheelbase making some single track maneuvering a little awkward. Plastic cable routing break off requiring zip tie replacement. Sort of ugly paint job. I needed no-excuses durable expeditionary bike for 30 days of off road mostly machete maintained single track tribal footpaths in the Congo Rainforest Basin, fording dozens of rivers, thousands of miles from any decent bike shop. I had to carry the weight of many electronic gadgets, tents, etc. I swapped out stock wheels for HED Big Deal carbon rims and used Maxxis 4" wide tubeless tires. Trip worked well. I love this bike. Right off, the bike is light enough, stiff enough. I set a PR on a trail climb that I ride all the time on a Specialized Fuse. The Alaskan isn't as nimble or plush, but what are we comparing to? After a few rides, the freehub stripped out. Never happened to me before, I'm pretty surprised. They were kind enough to offer exchange credit for the upgrade to DT Big Ride on Framed carbon rims. The weight loss was noticeable. I liked the sound of the 6-pawl hub, but prefer the design of the DT. I changed tires a couple times to suit changing conditions and toss out the tubes. It's lighter and faster, and I like the Lauf fork and Guide brakes. Hope to keep riding this rig a long time. Rear break cable routing along underside of down tube and under bottom bracket, factory wheels are heavy. Without a doubt the best bang for your buck when it comes to a carbon fatty. Went from a Muk 2 to the Alaskan Carbon immediately noticed the stiffness in the frame and the lack of flex in the frame at the BB area when pedaling as compared to the Muk (the Muk would flex considerably). The Pub Hub is superior to any 3 pawl hub out there when it comes to engagement. Ordered it with factory wheels (cheapest route, and heavy) as I knew they would be replaced with carbon wheels, rotating mass is the best weight savings you can do on any bike). The shifter cable routing is excellent, with the cables being routed through the frame.The rear brake cable routing was not a good method for anyone that would ride in a lot of loose rock, as it was routed down the underside of the down tube and under the BB, I revised that to my liking. I also formed a Kydex sub down tube/BB bash plate to take the impact from any rocks that will fly off the front wheel and hit the lower section of the down tube. The geometry was very close to the Muk (other than chain stay length) so I saw little change in handling, the chain stay was approx 1.2" longer than the Muk which does make a difference in steep, technical ascents, as the back wheel does have a bit less traction, and I can spin the back tire a bit. I took delivery of the bike in early Dec 2015, so I currently have 2 months worth of riding on the bike with the factory wheels. 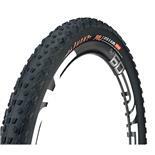 The Carbon wheels (Framed Carbon wheel set) will be here in 3 day and will be put to the test of the good old NE PA rocks, roots, and steep climbs of Area 51, and other local trails. These wheels should knock off 2.8 pounds of rotating mass, which is huge. I will provide more updates as time goes on and miles are stacked up on the bike.